Answer the 3 trivia questions correctly and tell us why you should be the one chosen to win one of the 3D2N Holiday Packages to Macau! 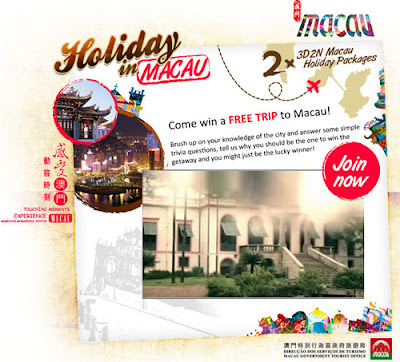 Visit Macau Government Tourist Office Malaysia website for more details. A guaranteed gift contest. How to get it?